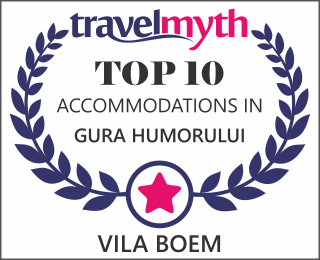 Vila Boem is a new location which fits into the concept of “Home away from home”; this means that it is a place away from your own home, but it offers much of the comfort of a real one. The building is situated in the center of Gura Humorului, but in the same time, it is rather secluded from the urban bustle. The most important tourist attractions are very close to it and visiting them is extremely accessible.